Carpet cleaning in Bayonne is simple when you call A Friendly Carpet Cleaning & Restoration LLC to clean your carpets using the most effective products and methods. Embedded in your carpet are minute pieces of dirt, hair, dead skin, dust, mites, bacteria and more. There are many ways to clean your Bayonne carpet, but you should demand the method recommended by most carpet manufacturers - Hot Water Extraction. 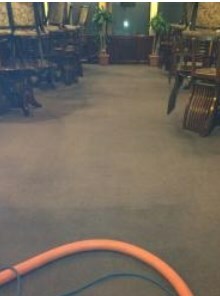 Hot water extraction blasts a powerful spray of hot water solution into your carpet knocking dirt and dander from carpet fibers and quickly sucking up dirt and water with a powerful industrial grade vacuum before any of it can settle. Thoroughly cleaning your Bayonne carpet. When it comes to fast thorough residential and commercial carpet cleaning in Bayonne New Jersey, no one beats A Friendly Carpet Cleaning & Restoration LLC's hot water extraction carpet cleaning service.